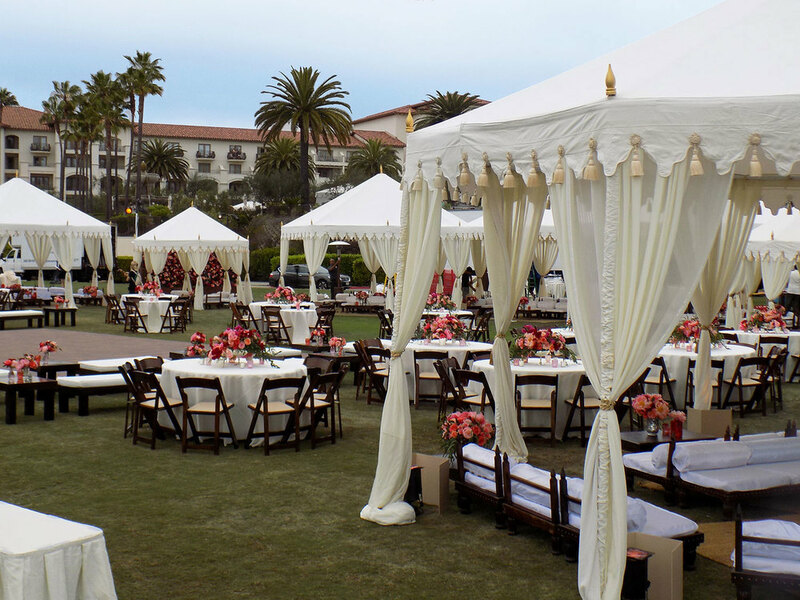 Discover how our Pavilion and Grand Pavilion tents can transform a ballroom, frame a wedding ceremony, or even form a floating canopy. 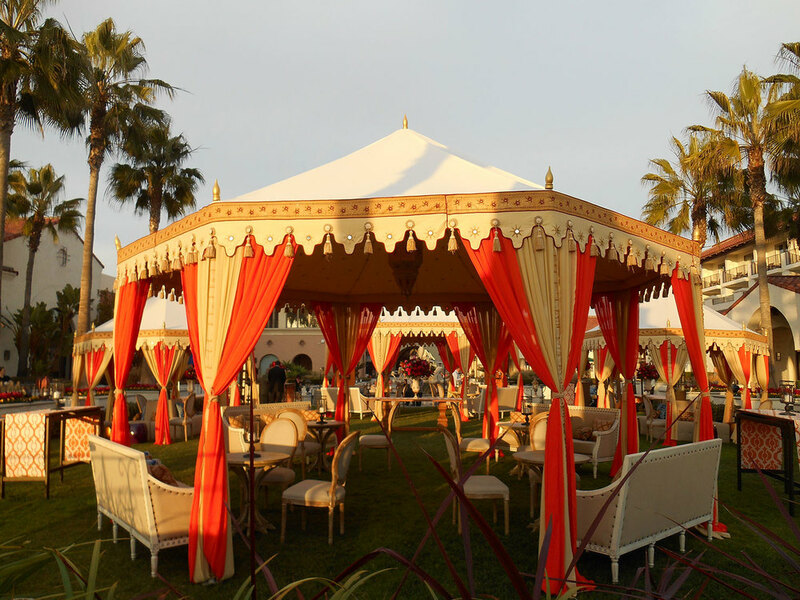 Raj Tents' Grand Pavilion is one of our most popular luxury tent rentals, particularly as one of the most demanded outdoor tents for parties. 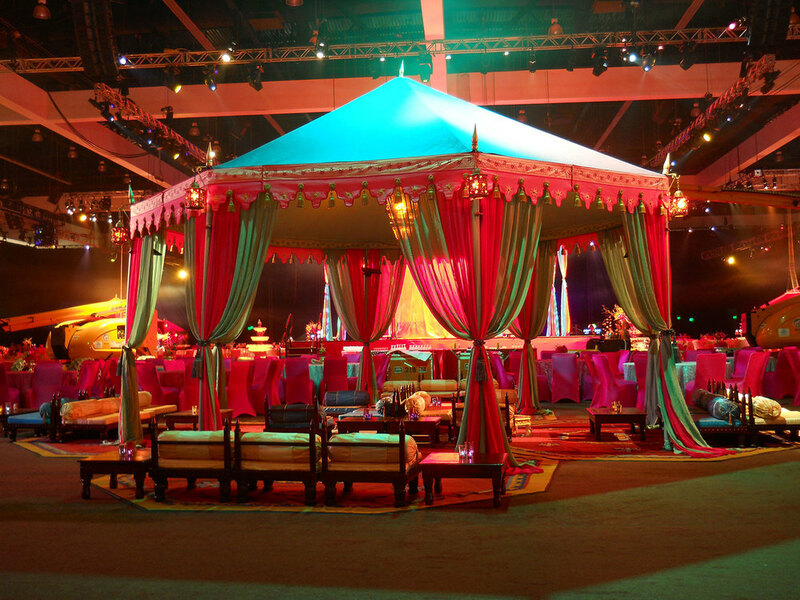 The octagonal shape and 20' diameter size, make the Grand Pavilion large enough to make a big statement. 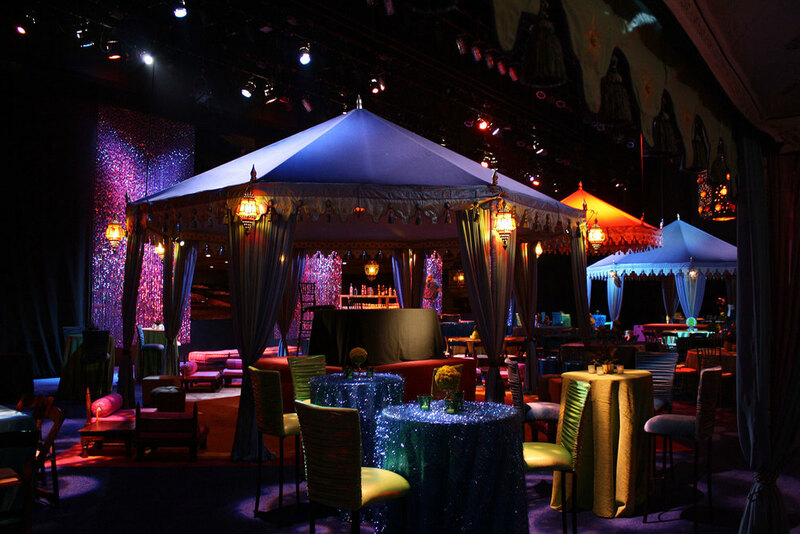 Whether used singly, grouped together or as part of an outdoor luxury tent installation with multiple different tents, the Grand Pavilion commands a lot of attention. They work well in lots of colors and themes - choose rich, vibrant colors to wow your guests or a more subtle tone to add elegance and style to support your theme. 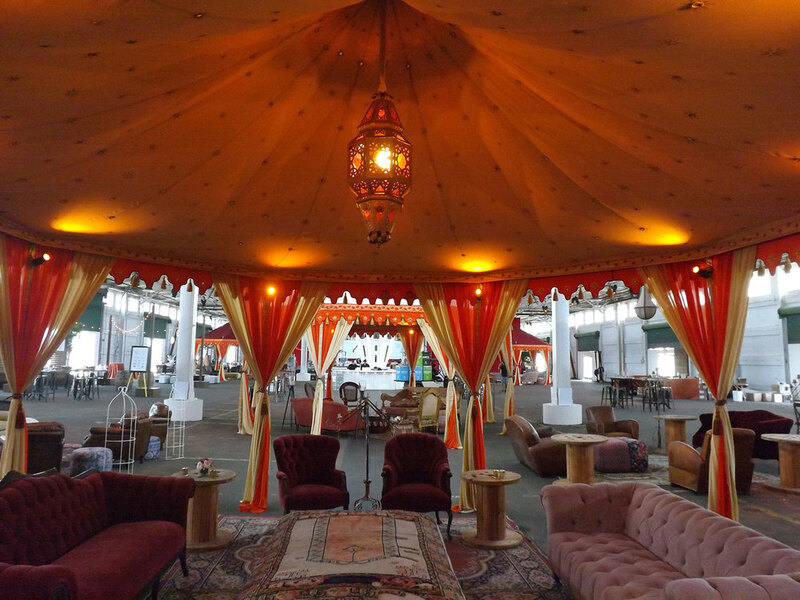 If you are looking for the ultimate Moroccan party tent, the Ottoman Grand Pavilion is just the ticket. 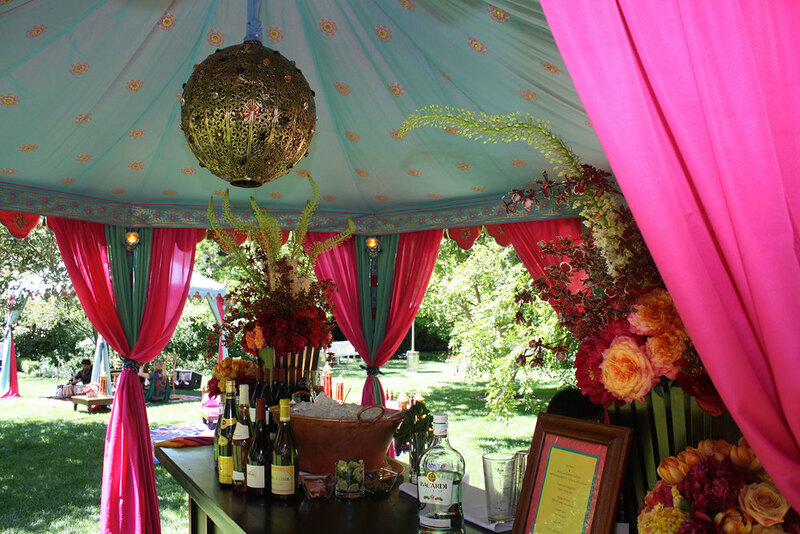 In strong colors of red, blue and gold, this Moroccan style party tent has red arches as well as a red interior, both with gold star print. 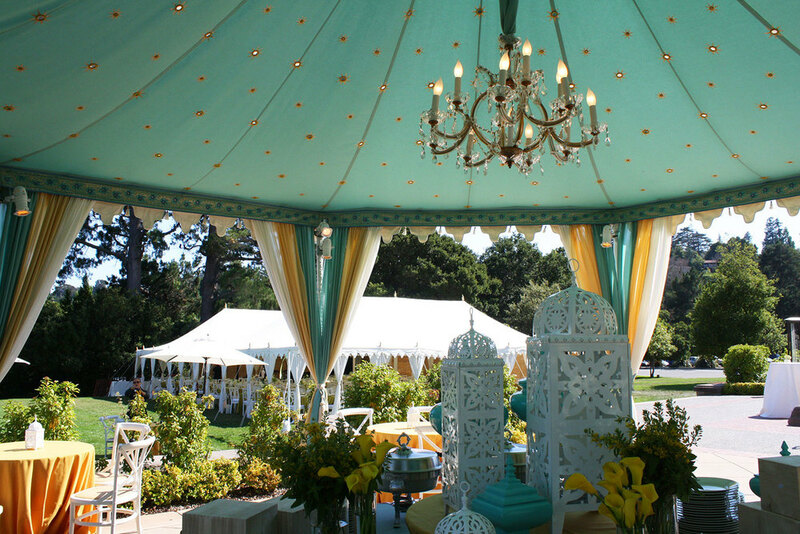 The Ottoman style is available for the smaller 13' diameter Pavilion too. 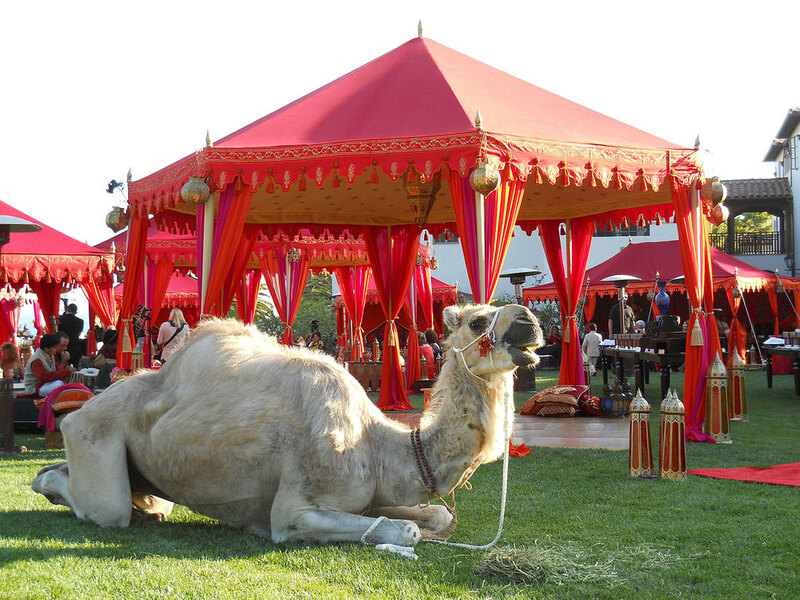 The smaller 13' diameter Pavilion is one of our favorite outdoor tents for parties. It's size and shape make it very versatile, fitting in where you want to retain long sight lines or where space is at a premium. 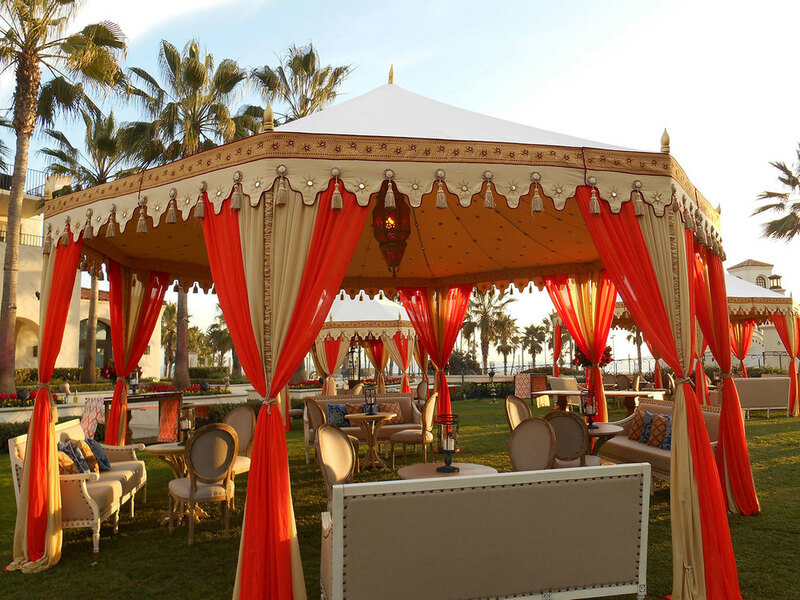 Set up a Pavilion on the beach in neutral colors for the ultimate luxury tent beach bar, or use jewel toned tents to bring color and interest to your dining installation. 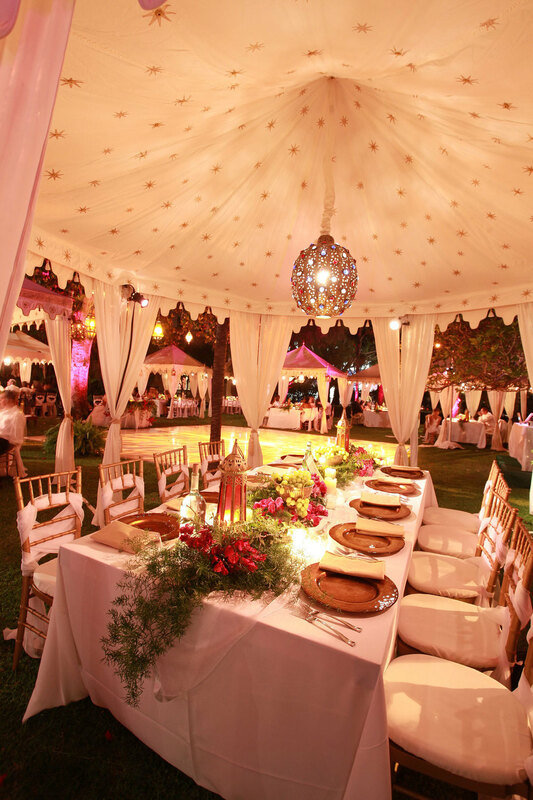 The Pavilion will hold a 72" round table and so is ideal for a luxury dining tent for alfresco dinners. 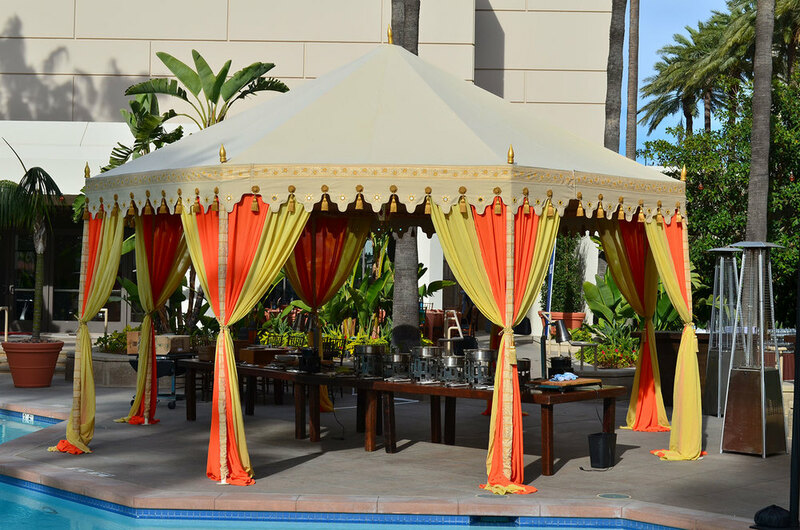 If working with an Indian or Moroccan theme, the Pavilion is perfect to frame a lounge vignette seating 6 or 8 guests.